Initially focusing on the travel industry, our web design services have constantly expanded and we have a large number of clients in the real estate and property industry, as well as many other markets. Our web design services consist of all aspects of development for our clients websites, from the initial breakdown and plan of the site, through to the page creation, photography, graphics, and text. Working closely with our clients, we are able to develop a fully functional and unique website, that has been developed in order to provide visitors to the website with the information that they require. The website we build will be one that is “search engine” friendly, and which over time will be able to achieve high positions in the search engines and provide natural, organic traffic to the website. We can provide web design solutions for all types of website, from single page static websites, to fully dynamic portals. Our design and development team have many years experience in the website creation industry, and can provide the exact solution that you are looking for. If you would like control over the content of your website and be able to make your own updates or changes, then we can provide you with a CMS ( Content Management System ) that will allow you to have instand access to your website and makes changes when you need, such as prices or special offers. 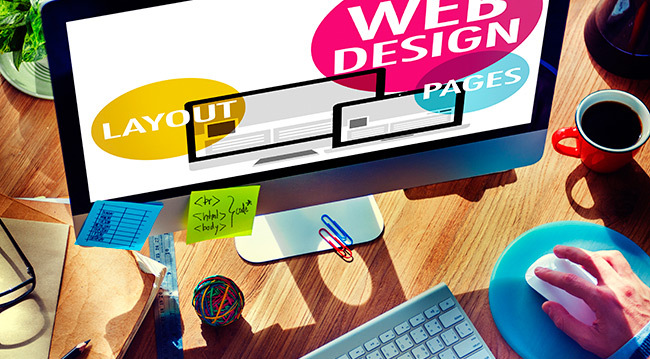 If you already have a website, we are able to provide a redesign service for the site, using the specified elements that your site already has, but to create an overall better developed site that will provide an increase in natural visitors, as well as greater search engine visibility.